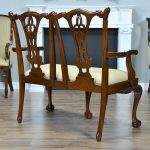 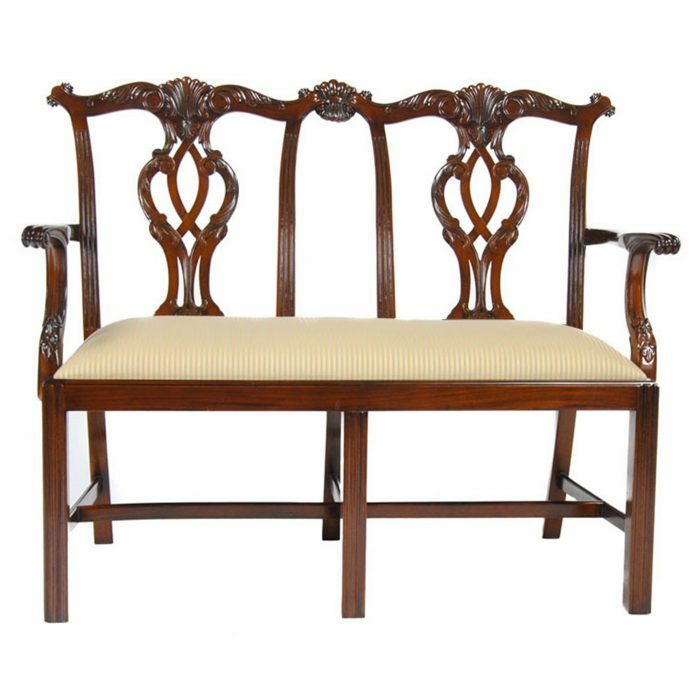 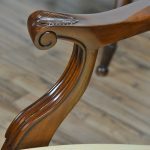 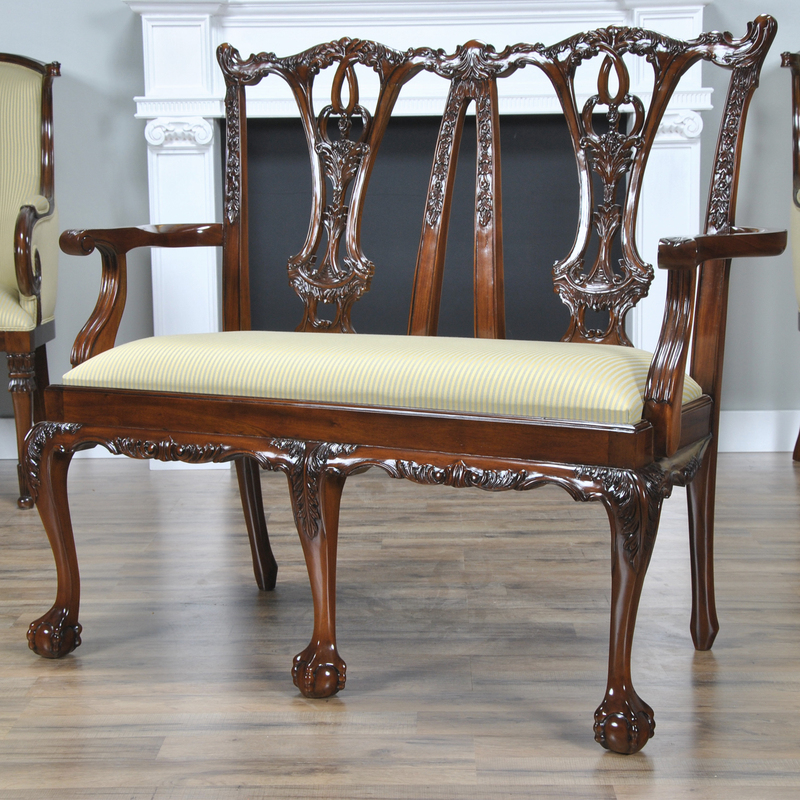 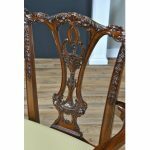 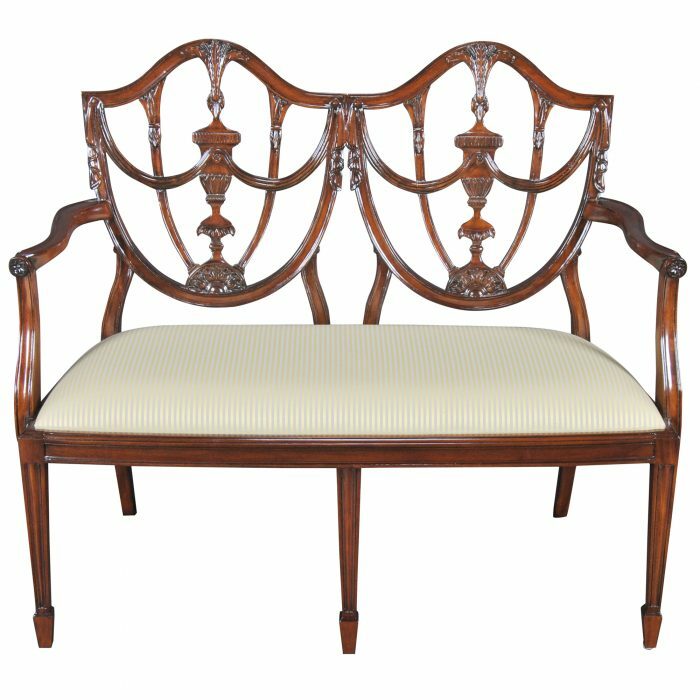 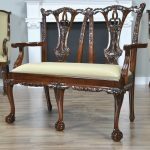 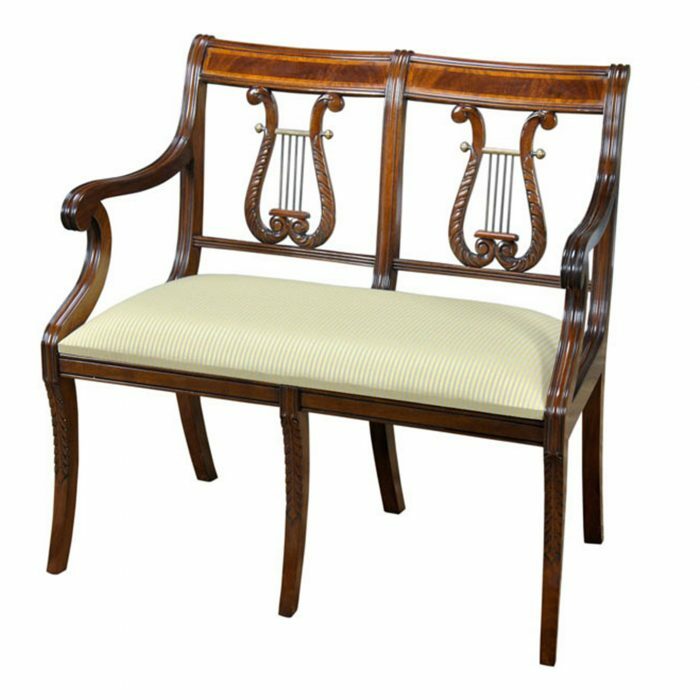 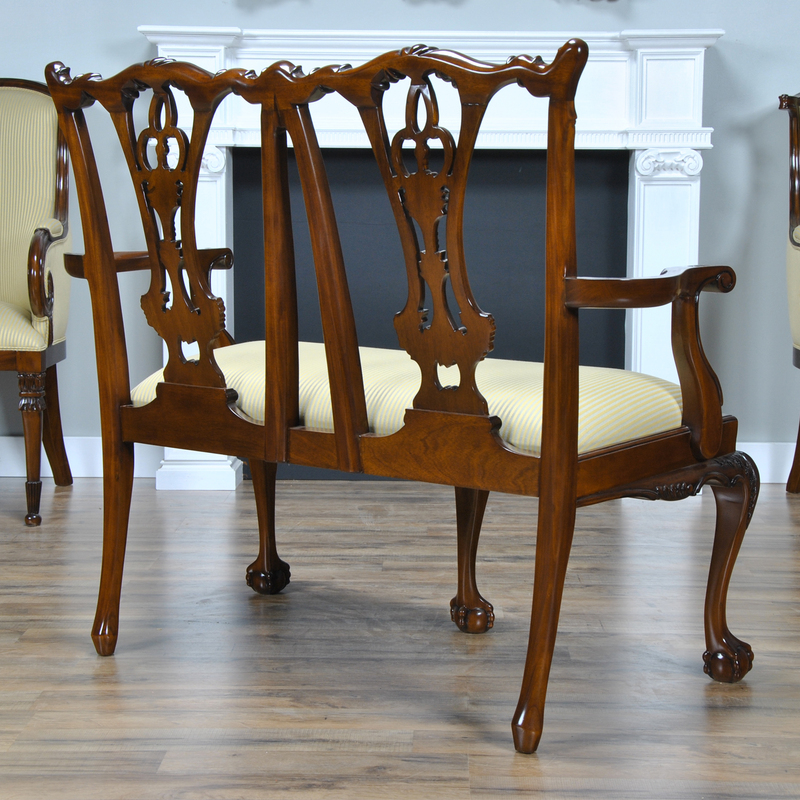 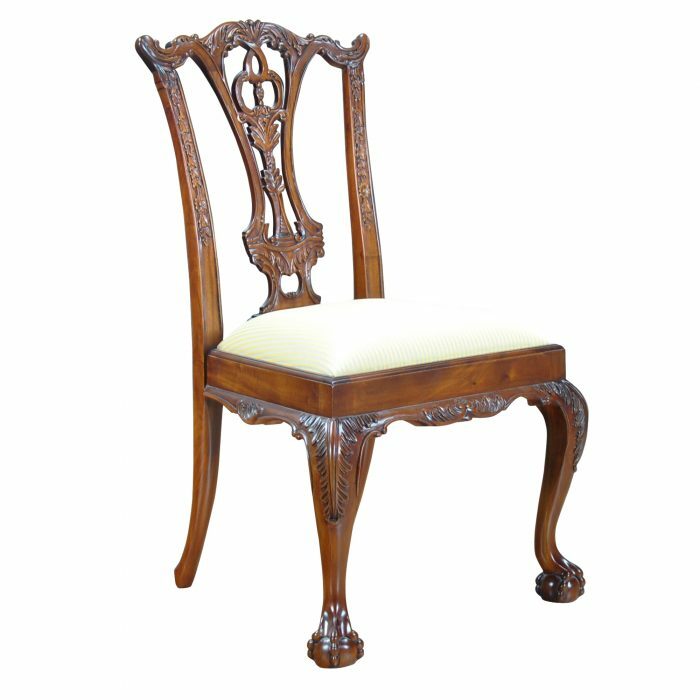 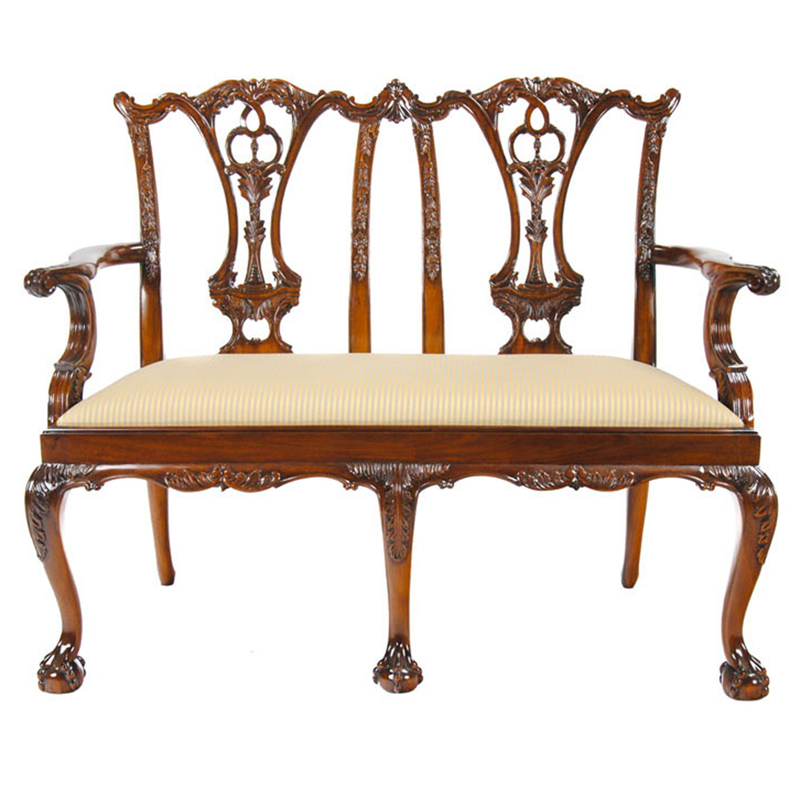 This Chippendale Two Seat Chair from Niagara Furniture features a carved crest rail, foliate carved back splat, and legs featuring acanthus carvings ending in a tapered and saber shaped design. 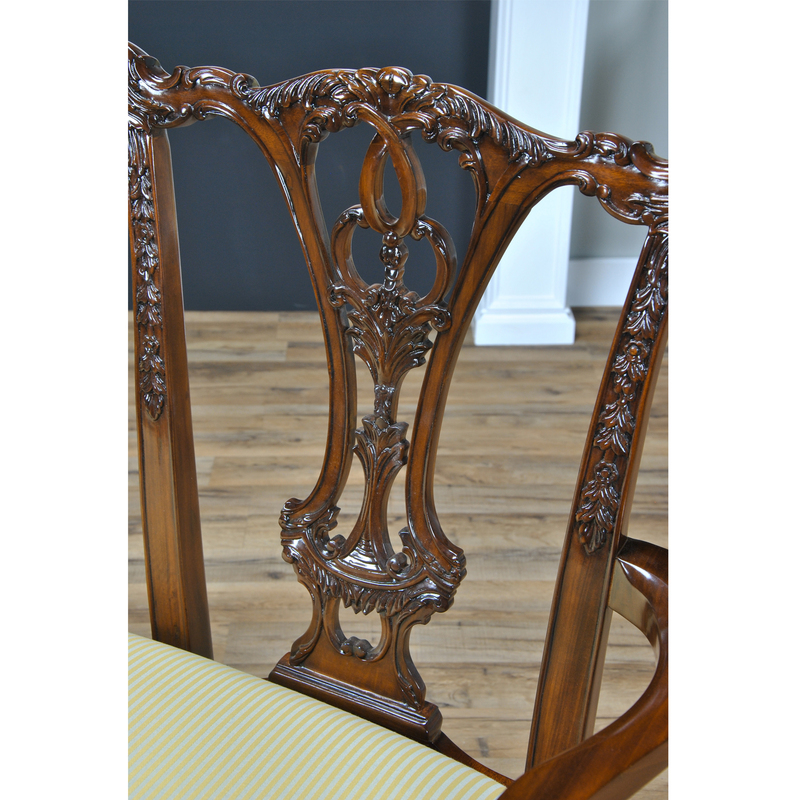 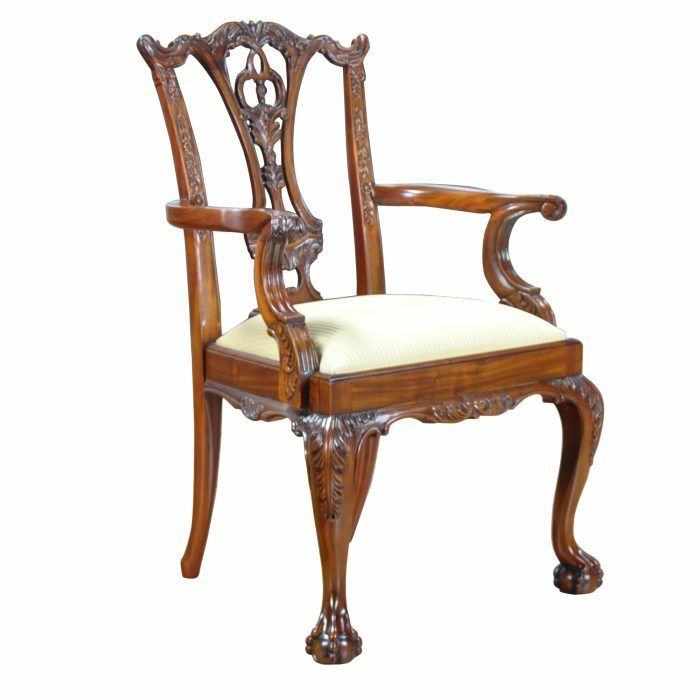 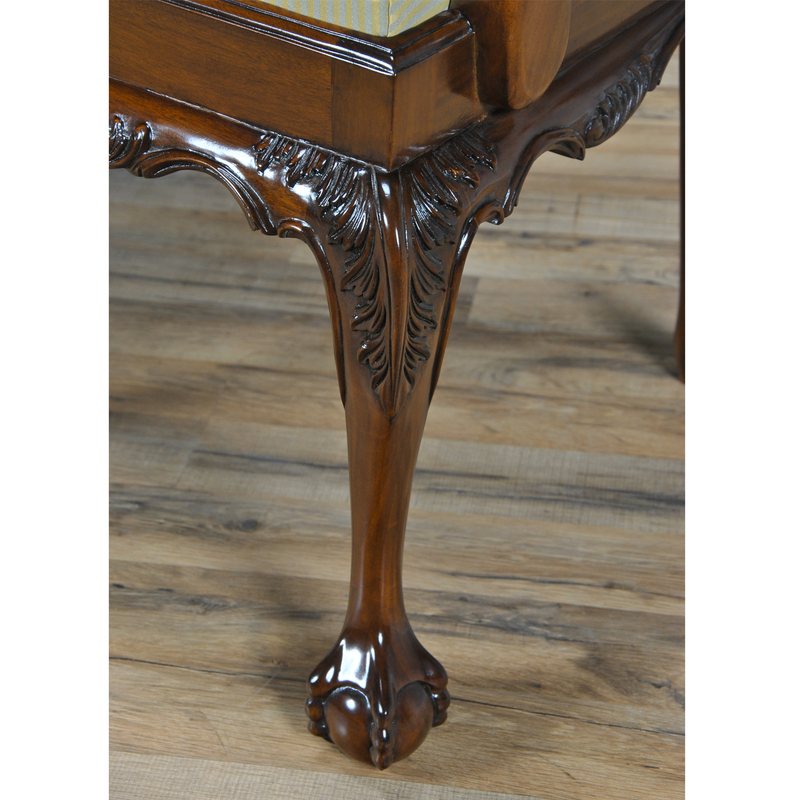 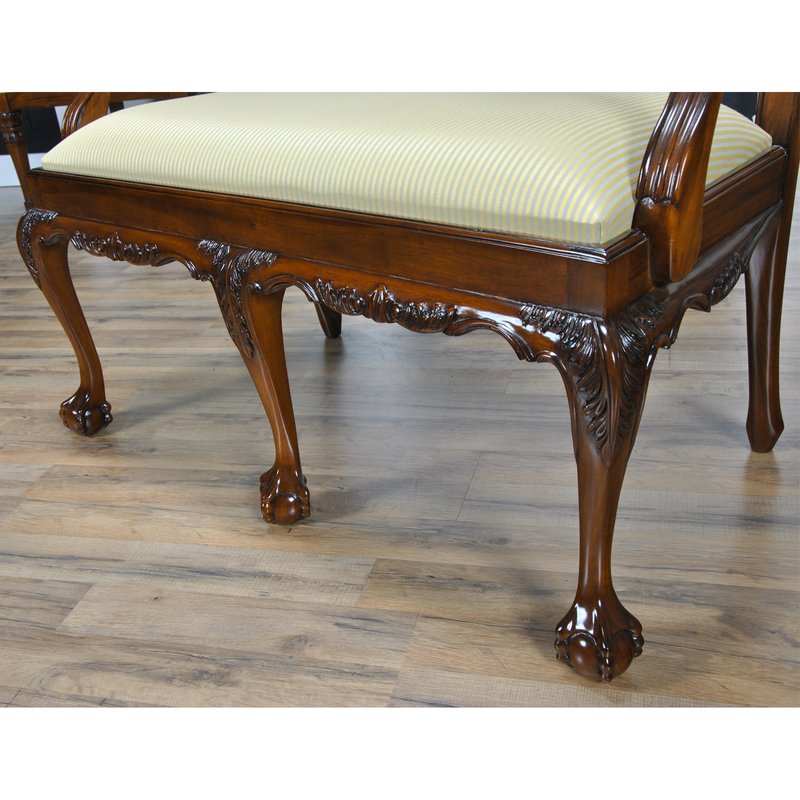 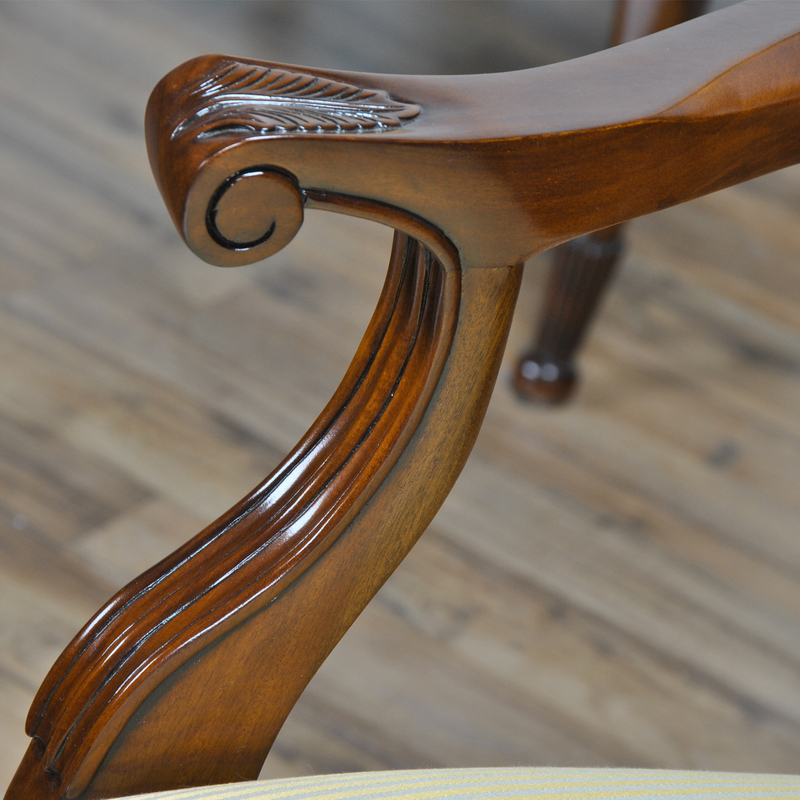 All of these features have been painstakingly hand carved in solid mahogany. 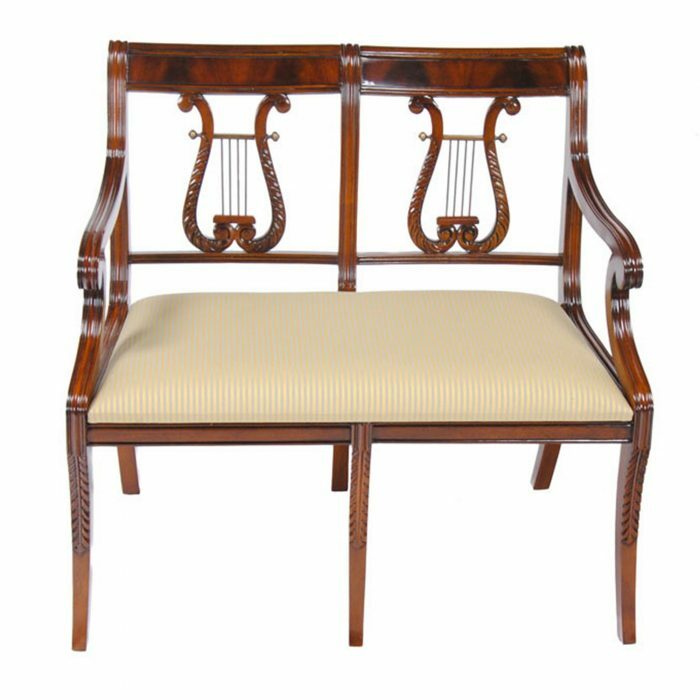 Beautifully finished with neutral upholstery and ready to use in your home the Chippendale Two Seat Chair also has a seat that is easy to remove with four screws should you decide to add a different fabric.